Today's guest post is from Ashley at History in High Heels, one of my new favorite blogs that I happened across a couple weeks ago. She has such a lovely blog, you should definitely check it out. Sassy, smart ladies are where it's at - and of course, chicks in glasses are awesome! I love Ashley's post - and in case you're wondering, I'm wearing Nedwin from Warby Parker in my profile pic! Now, on to the good stuff! Hi, this is Ashley from History in High Heels and Jess has been kind enough to invite me to guest post today on how to achieve the nerdy chic look that is so popular right now (think Jessica Day of New Girl)! 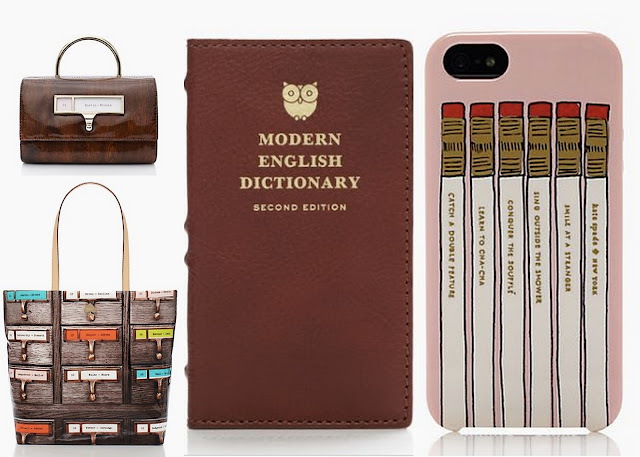 Translate your intellect and quick-wit into playful accessories! It says I know I am smart, but I don't take myself too seriously. For days when you don't wear your glasses! There is just something about elbow patches that scream "I am an authority on this matter, or any other matter." I also like the idea of women appropriating an old symbol of the male academic elite and making it our own! 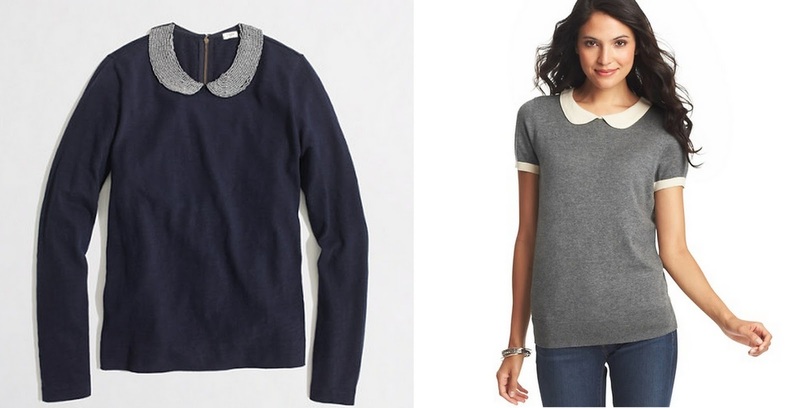 I don't really know why, but Peter Pan collars just add a nerdy chic touch to any top or dress. Combine this dress with a fashionable pair of tortoise shell glasses, card catalogue bag, dictionary iPhone cover, and heart elbow patch sweater (for when the classroom gets chilly) and you will earn an A+ in Nerdy Chic 101! And don't forget, boys make passes at girls in glasses! I love the nerdy chic look! 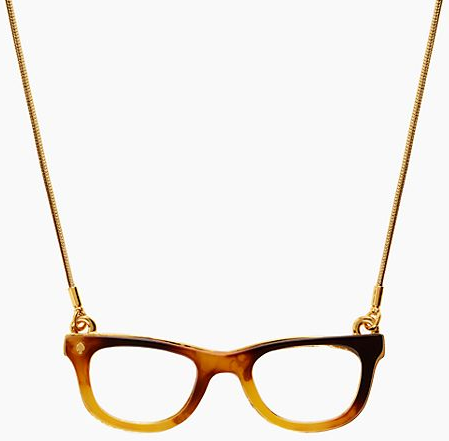 I want Warby Parker glasses so bad! Woohoo awesome post, nice to see you girls representing Nerdy Chic! That blue dress is beautiful. I absolutely love those glasses picks and that iphone case is fabulous! I love nerdy chic! It's pretty much my middle name! 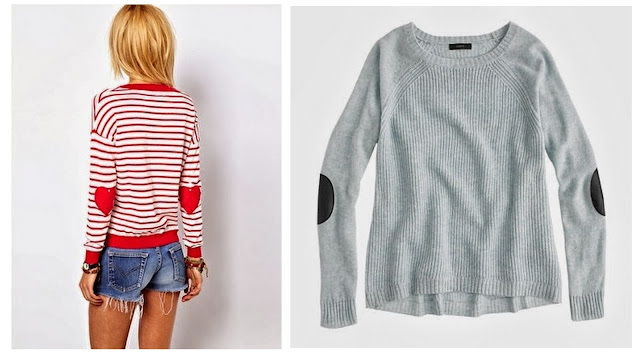 Love those cute accessories and the elbow patches! So many cute choices! 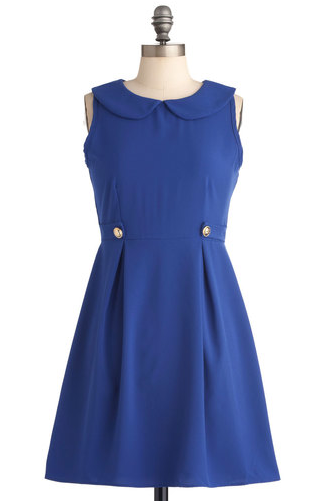 I swoon for peter pan collars! I love all the cute choices! Great nerdy chic post Ashley! Jess thanks to much for letting me guest post!